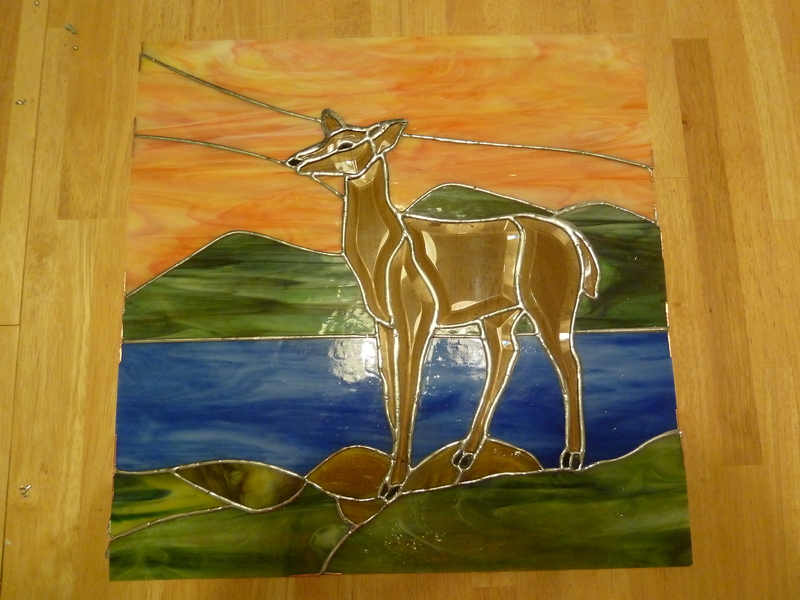 Here is a photo of my deer stained glass piece that will be a window in my Tiny House. It is almost finished. It will go in the spot where there is an 18 inch square window over the front door. I am waiting for the appraisal report on the fair market value of my property that I own. The charity has voted to buy the land from me at fair market value. After that I can move forward with the next step…….. Whatever that is! PreviousMy Tiny House Walls Are Getting Framed! Linda, that is great news about the charity being willing to pay fmv!! Awesome! And the stained glass is beautiful. I’m excited for you – this tiny house project keeps moving forward!! That is a beautiful stained glass piece. I know you will enjoy seeing it every time you enter or leave your tiny house.